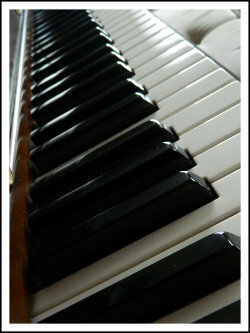 Piano lessons for beginners focus on basic music theory and learning to read music. Students are assigned songs and exercises weekly and are encouraged to practice. Lessons also incorporate student preferred music and simplified classical pieces. Older students are given the opportunity to learn how to read chords and improvise on piano for accompaniment purposes and are encouraged to learn classical pieces as well as pop/rock songs. Guitar lessons for beginners focus on basics of the guitar, introductory music theory, and reading music, as well as note clarity and accuracy. 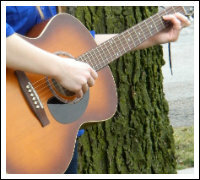 As the student progresses, the student learns to read chords and tabs as well as incorporating varied strum patterns. Students are encouraged to help select repertoire based on their music preferences. Voice lessons with young children focus on learning about rhythm, melody, having fun singing! Children are encouraged to help select their own age-appropriate repertoire to help instill these skills. Basic vocal technique is incorporated into each lesson through warm-ups and throughout each new piece the child learns. More experienced singers and older students will focus on vocal technique, learning about the vocal mechanism, and breathing techniques. Repertoire will include students preferred pieces as well as Broadway, Pop, Disney, and Classical, including an introduction to foreign language pieces. Vocal training is meant to enhance and build upon what the student is learning in school as well as prepare them for auditions, performances, and competitions. 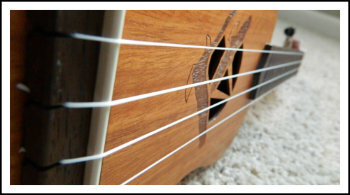 Cost for lessons conducted at the On A Good Note studio is $25 for a 30 minute session or $50 for a 60 minutes session. Families are billed electronically on a monthly basis. Lesson bills can be paid online using paypal, or in-person with cash or check.